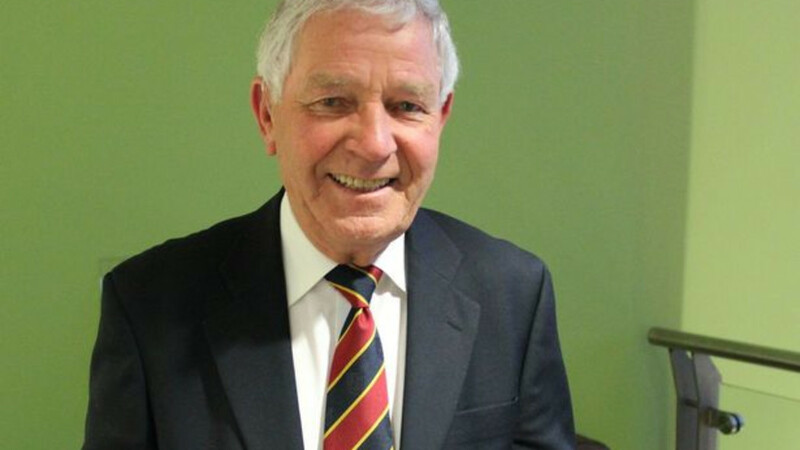 Last Tuesday evening, Club President and Glamorgan legend Alan Jones spoke lucidly about his association with the Club which stretches back to the mid 1950s. Few in the history of Glamorgan cricket are more deserving of legendary status than outgoing President Alan Jones, whose three-year stint comes to an end in March. As a former player, captain, head coach and director of coaching, the Welsh-speaking former left-hand opening batsman from Felindre has held almost every possible position with the Club during a life and career which were warmly celebrated at the first CC4 Museum of Welsh Cricket talk of 2019 last week. As one of eleven – nine brothers and two sisters – it was maybe inevitable that he would go on to forge a successful career in cricket, alongside brother and former Glamorgan wicket-keeper Eifion. Although his interest was sparked when he was handed his first bat by the local chapel minister - the Jones family attended twice on a Sunday – it was at Clydach Cricket Club, some six miles away, that he would get his first taste of playing the game as his own village had no team. One of his childhood heroes was Australian stalwart Neil Harvey, a fellow left-handed batsman whose batting (and hair!) style the young Welsh boy would look to emulate. It was fitting therefore that Alan’s first touch of a cricket ball in Glamorgan colours would come from the bat of Harvey some years later. Alan officially joined the Glamorgan staff in 1955, making an unremarkable debut in the County Championship against Gloucestershire at Bristol two years later, scoring 0 and 12. A stint in the Army would follow, although any ideas the youngster may have had of going on duty to Benghazi were stopped in their tracks by the formidable ‘Skipper’, Wilf Wooller, who contacted the Army to insist that Alan remain in Wales to kick start his cricketing career. By the early 1960s, Alan was beginning to cement his place in the side, passing 1,000 runs in a season for the first time in 1961. A year later, he struck his maiden first-class century (121) against Sussex at Hastings, earning him the county cap he’d missed out on the previous season, allegedly because he was still awaiting his maiden century. Alan continued to prove his worth in 1963, striking a century in each innings of the Championship match against Somerset at Glastonbury, with unbeaten scores of 187 and 105. The side of the early 1960s included the likes of Ossie Wheatley, Don Shepherd, Peter Walker and Gilbert Parkhouse. But it was a youthful side who would emerge victorious against Bobby Simpson’s touring Australians in 1964, the first of two triumphs over the Aussies, the second coming four years later, when Alan was caught on the boundary by Neil Hawke on 99, after what he describes as an uncharacteristic big shot which failed to clear the fielder – the type of shot he says, as a coach, that he would discourage youngsters from attempting! Another highlight came in 1966 against the touring West Indians, a side which included the lethal opening bowling partnership of Wes Hall and Charlie Griffith. Hall was the quickest, but Griffith the most accurate, says Alan. They had caused problems earlier in the tour for England’s Brian Close but Alan would go on to score an unbeaten 161 at St. Helen’s. Alan was also at the crease when his brother Eifion scored his maiden century (a career best 146 not out against Sussex at Hove) in 1968. Alan was a key member of the 1969 Championship winning side, with the county’s success culminating in Don Shepherd and Majid Khan being recognised amongst Wisden’s five Cricketers of the Year in 1970. A key factor in that side’s success, he remembers, was the players’ pride in representing the county and wearing the daffodil – a trait which arguably runs through any successful Glamorgan side. Regarded as one of the greatest players never to have represented England, Alan thought that his chance had finally come when, in 1970, he was selected to represent England against a Rest of the World side. As shown on the evening, the official scorecard recognises that the match was one of “five test matches” played “under normal test match conditions”, although records at Lord’s have been redacted and the match downgraded – although Alan was presented, years later by former ECB Director of Cricket Andrew Strauss, with an England cap in recognition of his selection. Closer to home, Alan was also instrumental in events which led to the formation of the St. Helen’s Balconiers in 1972. A partnership of 330 with West Indian opening partner Roy Fredericks against Northamptonshire at Swansea was deemed worthy of an additional collection for Alan’s benefit season by supporters who would sit on the balcony in front of what is now the clubhouse. It is fitting, therefore, that Alan is now also President of the Balconiers. Another career highlight came when Alan captained Glamorgan at Lord’s against Middlesex in the 1977 Gillette Cup Final, a match which, although it ultimately ended in disappointment, is one which will forever be remembered in Wales for Mike Llewellyn’s massive six-hit against England spinner John Emburey into the pavilion, one of the biggest ever seen at the ‘Home of Cricket’. A far cry from the modern era of The Hundred and T20 cricket, the late 1970s were the relatively early days of one-day cricket, with competitions varying from 50 to 65 overs a side. Alan’s maiden one-day century came a year after the Lord’s final, when he scored an unbeaten 110 against Gloucestershire in Cardiff, against and attack which included Mike Procter and Brian Brain. It was also in 1978 that Alan was recognised as one of Wisden’s Five Cricketers of the Year. Alan’s statistics as a first-class cricketer are remarkable. He scored 34,056 first-class runs, including 52 centuries, at an average of 33.03 in 610 matches for Glamorgan, amassing 1,000 runs in 23 consecutive seasons. It is somewhat surprising, in this context, that he would have to wait until 1980 for his maiden double century, a career best 204 not out at Basingstoke against Hampshire, the county against whom he played his final match for Glamorgan in 1983. A Welshman to the core, Alan was instrumental, as head coach, in the development of arguably one of the greatest generations of Welsh cricketers ever to have worn the daffodil, one which he says benefitted from having a Colts side in the Welsh league – a move which was not without its problems, however. It was a side which, under Alan’s leadership, went on to win the 1993 AXA Equity & Law League trophy at Canterbury, and four years later lifted the County Championship trophy at Taunton when Alan had moved into a Director of Coaching role, working alongside head coach Duncan Fletcher. Alan’s term as President comes to an end as the new combination of Director of Cricket Mark Wallace and interim head coach Matthew Maynard embark on a new era in Glamorgan’s history; fittingly, they are the only three captains in Glamorgan’s history to have led their respective sides out in a Lord’s final. A good omen for 2019, maybe?